On Thursday September 13, at a neighborhood forum, Will County Clerk Candidate Lauren Staley-Ferry began laying out a broad and ambitious plan for the office ranging from streamlining day-to-day services to maximizing turnout for eligible voters and increasing election security. This article is among a multi-part series in which Lauren lays out her goals for the Clerk’s office. 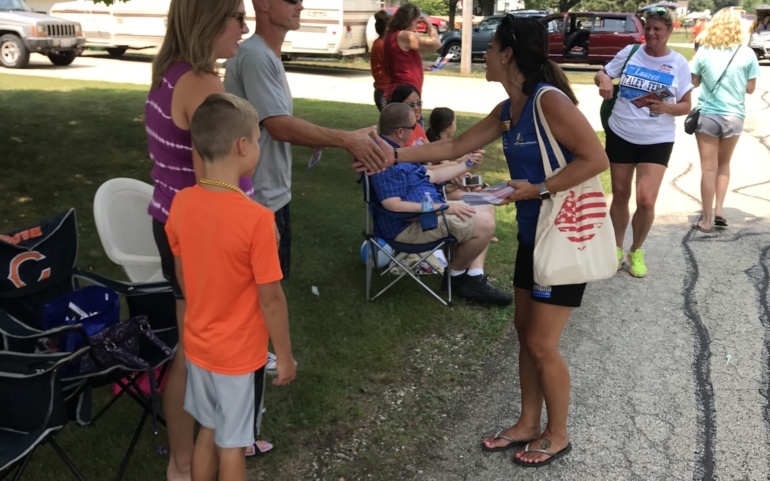 Staley-Ferry understands the importance of voter turnout in our democracy and plans to expand polling places and early voting hours to increase accessibility and convenience for voters with busy schedules. She also will seek feedback from constituents for increasing turnout in every election. Staley-Ferry said civics lessons at a young age are now more important than ever and she plans to focus on voter education efforts.